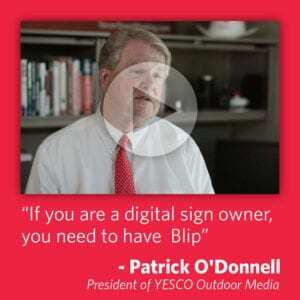 Doug Robertson On How Fliphound Can Sell Your Digital Sign Inventory. Douglas Robertson is the CEO and one of the owners of Atomic Billboards (atomicbillboards.com) which operates the largest digital bulletin billboard network in Wichita, Kansas. In addition, Douglas is one of the founders of Fliphound (fliphound.com) the first automated buying platform for the out-of-home industry. Insider interviewed Robertson recently about Fliphound and how it can help independent billboard companies. Douglas, how did you enter the outdoor business? In late 2012, I had sold my previous software company that catered to independent retail pharmacies and was looking for a new opportunity. Brandon Shuey, my business partner and a former pharmacy software industry colleague, had been working in the outdoor business with another partner Liz Farha for a couple of years and convinced me to get involved in 2013. What is Fliphound and how can it help billboard companies? Fliphound is largest independent online digital billboard network, with more than 120 digitals and allows advertisers to reach millions of people on a daily basis in the United States. In aggregate, independent board owners control more than 2,500 digital billboards (more than Lamar with its 2,300+ digitals) and Fliphound provides an automated platform that allows independent operators to create and participate in a large and attractive online digital billboard network that appeals to local, national and digital advertisers who want to buy OOH online anywhere and at any time. 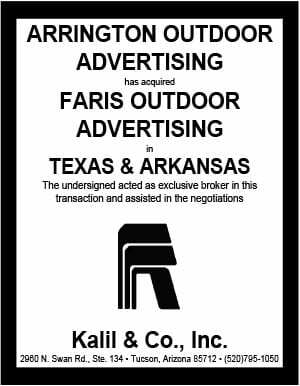 Fliphound provides advertisers with a unified network view and real-time access to new and existing digital billboard inventory making it easier for advertisers to find and buy digital billboard advertising space (85% of Fliphound advertisers are new to outdoor). Fliphound promotes and markets billboards in conjunction with operators to local, regional and national advertisers on a daily basis via email, the internet and social media. How does the Fliphound system work? Fliphound allows billboard owners to maintain complete control over pricing, inventory and integrates with your existing billboard or digital signage software. Operators who show the most success have integrated Fliphound into their selling process. Fliphound allows advertisers to plan, execute and monitor outdoor ad campaigns in real time -24/7 and 365 days a year. Users self-provision their ad campaigns like they do on other digital media and can access pricing, impression data, board locations and audience demographics online subject to information and parameters provided by board owners. Fliphound is very focused on improving online user experience and strive to simplify the buying process by following 4 basic principles: 1) Make it easy to open an advertising account; 2) Make it easy to setup, turn on and off campaigns as well as manage package buys, bids and budget; 3) Allow advertisers to upload their ads and change ads as often as they like; and 4) Make it easy to pay online. Our goal is to get users up and running in as little as 15 minutes. Can you give some examples for billboard companies who are using Fliphound to sell inventory? Atomic Billboards, Coastal Outdoor and O2 Media along with others are using Fliphound. Atomic Billboards was the first network to implement Fliphound. Atomic online sales vary by board and average between 5-20% of gross digital face revenue. Keep in mind, Atomic has fully integrated Fliphound in to their sales process. Fliphound allows sales teams to increase close rates, attract new customers, and cost effectively sell products at different price points to advertisers. Atomic is now able to profitably capture a new and underserved segment of the ad market with automation– businesses who want to spend between $100 to $1,000 per month but have not previously used or had access to outdoor advertising. Atomic benefits from this dual approach of offering fixed contracts via Atomic and flexible online pay-as-you-go buying through Fliphound. It also provides operators with a competitive advantage versus other media available off-line and on-line in the local market. Other operators have implemented Fliphound and have had similar experiences. More and more owners continue to join the fastest growing online digital network every week. What should a billboard company do if they want to learn more about Fliphound? If you want to get started or learn more see below, email us at sales@fliphound.com or call our offices at 316-351-8228. Check out Fliphoud’s new billboard cost and audience calculator (http://fliphound.com/billboard-out-of-home-advertising-media-planning-budgeting-impact-CPM-calculator-by-city-and-zipcode) is a great way to find digital billboard costs in more than 600 cities! You can search directly with the zip code you are interested in to see how prices vary across the country. The calculator lets advertisers and business owners test various scenarios using different reach, frequency, audience, and budget parameters to calculate and determine how much it costs to create and execute effective digital billboard campaigns. Fliphound’s goal is to make out-of-home (OOH) and billboard advertising accessible, affordable, and effective for a broad range of industries (http://fliphound.com/billboard-OOH-advertising-industry-categories-sector-top-spenders) and consumers.